The mission of RPA Kids is to engage pre-6th grade students in a level of music education they would otherwise not have access to and connect them to resources to become life-long music listeners, learners, and lovers. 1. Music is a vital part of cultural life in Washoe County. 2. Every child has equal access to high quality music education. 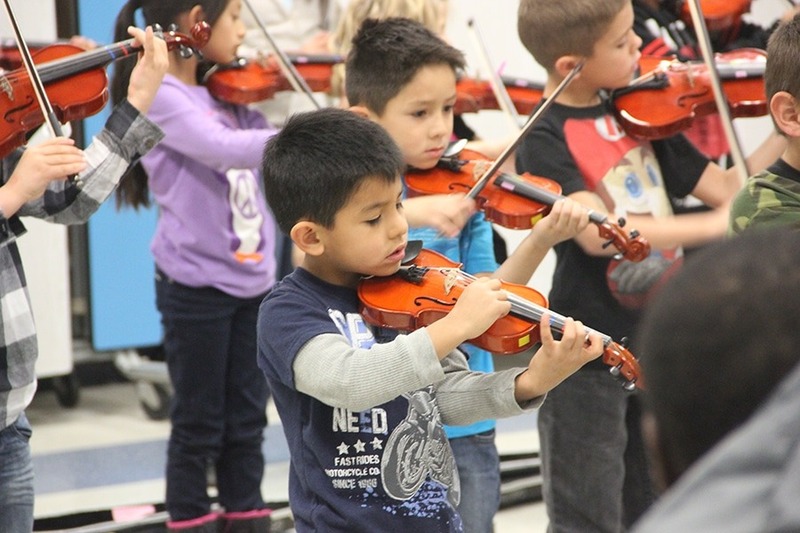 Since 2006, the Reno Phil’s RPA Kids program (formerly Celebrate Strings) has provided free after-school violin instruction at area Title 1 At Risk elementary schools. Two classes are presented four days per week at no charge to the student or family. Over 200 students participate in RPA Kids every year. Each quarter concludes with a recital for parents, teachers and fellow students. 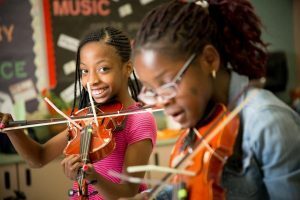 This program provides an earlier introduction to strings than would likely be possible for children in this community. RPA Kids is currently provided at Bernice Mathews, Lincoln Park, and Stead Elementary. In the fall of 2015 a new model of RPA Kids was piloted at Stead and Lincoln Park. In the new format, students attended 30 minutes of instrument instruction and 30 minutes of music note reading instruction. Stead Elementary RPAK site offers cello instruction as well as violin. 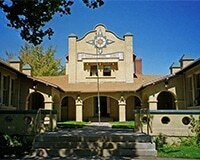 In 2008, the Reno Phil became Partners in Education with Bernice Mathews Elementary School. In 2009, the Reno Phil was awarded Contributor of the Year through the Washoe County School District’s “Team-Up” program for its RPA Kids program. There are currently five former RPA Kids students who are now participants in the Reno Philharmonic Youth Orchestras. 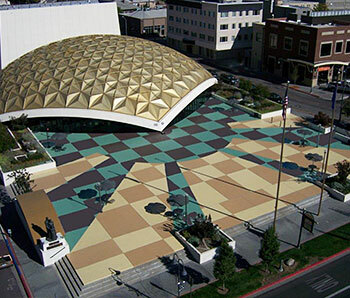 According to Washoe County School District, Title I of the Elementary and Secondary Education Act of 1965 is a set of programs administered by the United States Department of Education to distribute funding to schools and school districts with a high percentage of students from low-income families.